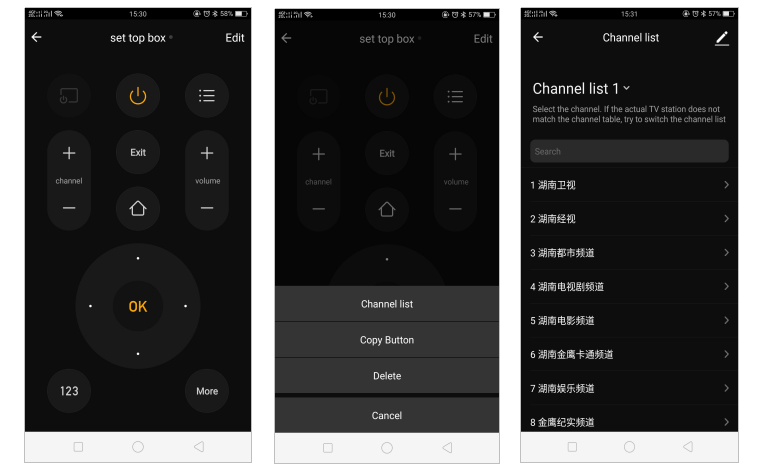 What should I do if the channel list of the universal remote control is incorrect? 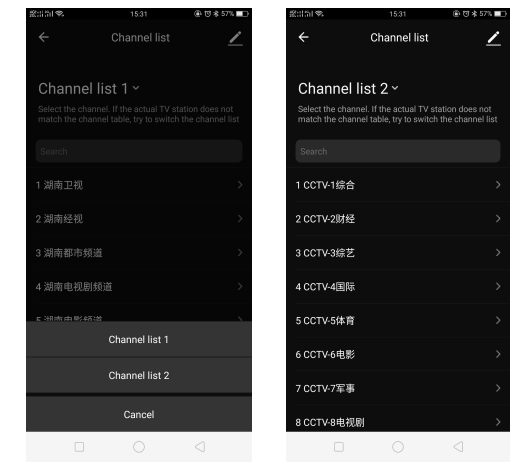 Before switching the channel list shown in Figure 3, tap a TV station below to check whether the channel list is correct. If the channel list is incorrect, switch to another channel list. If no correct channel list exists, you are advised to submit feedback in the app. Tuya will check and process the issue for you.